The Victorian passion for collecting natural history specimens is amply demonstrated in this volume with over 200 articles, letters and notes gleaned from entomological journals of the past two hundred years. The chosen butterfly collectors are an eclectic bunch. Among their ranks are numerous clergymen, high ranking soldiers and medical men. xxvii, 428pp well illustrated in colour and black and white. 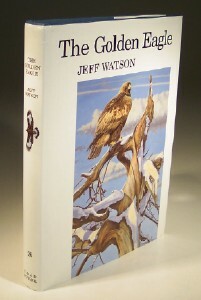 When published this was the first comprehensive monograph on the Golen Eagle for over forty years. 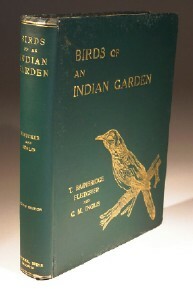 It covers all aspects of the species' biology and ecology. xv, 374pp well illustrated in colour and black and white by Keith Brockie and Donald Watson. 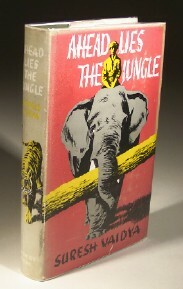 The trip which is the theme of this book took the author over thousands of miles of the Indian sub-continent, from the jungles of Mysore to those of Madras, Travencore-Cochin, Gir, Assam and Central India. His objective was to see wild creatures and how they live and study their behaviour to one another and to man. 187pp with black and white plates. xii, 201pp with 33 full page colour plates and numerous black and white illustrations within the text. 56 colour and photogravure plates all present and correct. All plates were supplied loose within the folders, texts were stitched.